While there may have been a world of difference between Nigel Roberts’ Free Poetry and the vastly more ‘professional’ looking publishing venture Wild and Woolley eventually became, there is a hint of a shared experience here, a creative spontaneity driven by a belief that Australian literature was changing and the old methods of publishing were not going to cut it anymore. Before I go much further I have a confession to make….I was an undergraduate student majoring in English and Australian Literature at Sydney University between 1978 and 1981. From memory I also took Wildings Utopian and Anti-Utopian fiction class in either 1979 or 1980 (though if you can remember a Michael Wilding class you probably weren’t really there…). While at Sydney Uni I slowly became involved in the local poetry scene so I knew many of the writers documented in Wilding’s memoir. So while I enjoyed Wilding’s account of the Sydney writing scene of the mid to late 1970’s I suspect that at least some of my enjoyment was because I knew many of the poets and writers he was writing about. Wilding’s account of his time at Wild & Woolley is, obviously, a very personal account. I had the feeling at times, that WIlding was like a child in a chocolate factory. He was involved in bringing some of the most important contemporary writing to Australia “…our project was to bring the margins to the centre and for a while we succeeded. We got these important books around. It was a major intervention into the cultural map of the nation…”. Reading between the lines, however, I got the impression that, at least at a commercial level, Wilding must have been a little difficult at times to work with. At times for example he seemed to treat the Wild & Woolley warehouse as almost his personal library. Soon after they established their first warehouse he talks of walking “along the shelves picking up a sample copy here, another there. My library swelled as I added the new arrivals week by week”. At another point he talks about raiding the rubbish bin in the warehouse to retrieve damaged copies of books that could not be sold “One day I noticed the entire staff, all two of them, were sitting laughing at me. Knowing my obsession, they had been deliberately putting books into the garbage bin when they heard me arrive”. He was billed for all these books however, and when he left the business he was faced with a considerable bill. At times I did feel a little sorry for Pat Woolley. While Wilding obviously understood the cultural and political aspects of their grand publishing adventure, it was Pat Woolley, one suspects that kept the books moving, the dollars circulating and the Press afloat “The financial details, as ever, I shied away from. As Pat put it, ‘You didn’t have anything to do with the finance’. Wilding eventually leaves the business and I had the sense that there were some things that maybe he felt didn’t need to be raised again. Another strength of this book is in the individual portraits Wilding paints of some of the different people he encounters during the Wild & Woolley years. In particular the sections on Vicki Viidikas, Christina Stead and Jack Lindsay stood out for me – indeed I was sent scurrying to my bookshelf to confirm that, yes my copy of Decay and Renewal was indeed a Wild and Woolley edition. In the final instance it is probably important to understand why Wilding has called this book a “Memoir”. Probably the best description of a memoir I have come across was from Gore Vidal “a memoir is how one remembers one’s own life, while an autobiography is history, requiring research, dates, facts double-checked.” (Palimpsest). As I have noted previously, Wilding’s account of the adventures of Wild and Woolley are a very personal account and I am sure that other players in the drama may very well have a different view of some of the incidents captured in this book. 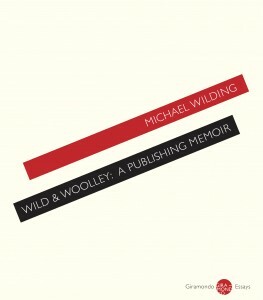 But given the constraints of the genre, Wild & Woolley: A Publishing Memoir is a fascinating account of a critical period of Australian Literature from the perspective of one of the more cutting edge publishers. What made it an important book, in my opinion, however, was Wilding’s ability to trace the social and political impacts on writing and publishing from the mid seventies through to event of the GST and the moves to subject writing and publishing to forces of the free market. This entry was posted in Issue 1, Mark Roberts, Michael Wilding, Wild & Woolley: A Publishing Memoir and tagged Christina Stead, Decay and Renewal, Free Poetry, Gore Vidal, In Casablanca for the Waters, Jack Lindsay, Michael Wilding, Nigel Roberts, Pat Woolley, Vicki Viidikas by Mark Roberts. Bookmark the permalink.